XOLB-165 Polar White is designed for maximum bleed resistance on 50/50 Cotton Polyester blend fabrics. It is extremely opaque and matts fibers well producing prints with outstanding coverage. The smooth creamy consistency is easy to print with on both manual and automatic presses. XOLB-165 Polar White is fast flashing allowing for shorter dwell times and faster production times. Polar White is ideal for use as a base plate/under-base white or as a bright clean highlite white. MESH: 80-305 Monofilament polyester tightened to manufacturers specs. For smoothest deposit use 160 mesh or higher. Coarse meshes are recommended for a thicker ink deposit. Heavy fleece may require a thicker deposit. ADDITIVES: Polar White is ready to print. Reduce only if necessary using P-5011 curable reducer. Reducing the viscosity will also reduce the opacity and coverage of the ink. Please test before production run. For printing on nylon mix with MF-66 Nylon Bonding Agent. WET-ON-WET PRINTING: In many cases Polar White will print wet-on-wet. If build up occurs mix 10%-20% WOW-1001 Halftone Base into Polar White and test. Add more WOW-1001 Halftone Base as needed. PRINTING: For best results flood the image and print using a sharp 70 durometer squeegee. A 60 duro squeegee may be used when a very heavy deposit is required. FLASHING: Parameters vary between all flash units. Flash for 2-3 seconds with the ink deposit reaching 150-250 degrees F. Ink should be dry and without tack. 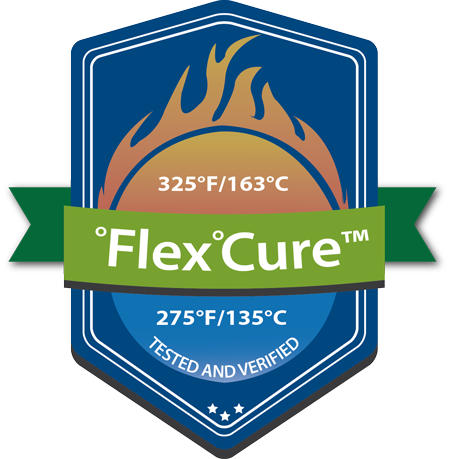 CURING INK: Cure at 325 F over a 60-90 second period depending on oven type and thickness of ink deposit. A thicker deposit will take longer to cure as the heat must penetrate through the entire ink layer. WARNING: High heat during curing may lead to a rough surface and in extreme cases bubbling. Please keep dryer temperatures controlled.